Discover what's right beneath your feet! Prepare to be amazed with caving, or spelunking for our American friends! Hidden in the caves beneath your feet there are miles of rifts, tunnels and chambers waiting to be discovered. There are many amazing sights to be encountered as you climb, scramble and slide around Nidderdale and the rest of the Yorkshire Dales. Here at How Stean Gorge we are lucky enough to have some of the most exciting, beautiful caves in the UK, and our our fantastic, trained instructors are ready to take you on a fantastic cave adventure. So many people will turn up excited by the prospect of exploring, but asking what is caving? The answer is simple enough – it’s the recreational exploring of underground caves. However, the experience is something you will never forget, there is something truly unique and exciting about traversing a natural wonder like this. Walk, climb, abseil or crawl – but whatever you do, don’t expect to keep clean! During a caving adventure you could find yourself wading through water, climbing underground waterfalls and sliding through mud. If you’re looking for something a bit different and don’t mind getting dirty then this is for you. There are numerous options and routes with varied difficulty, so if small spaces aren’t your thing no need to worry – we can explore a more open route. We are happy to tailor your caving experience to suit you and make sure that this is an adventure you won’t forget! 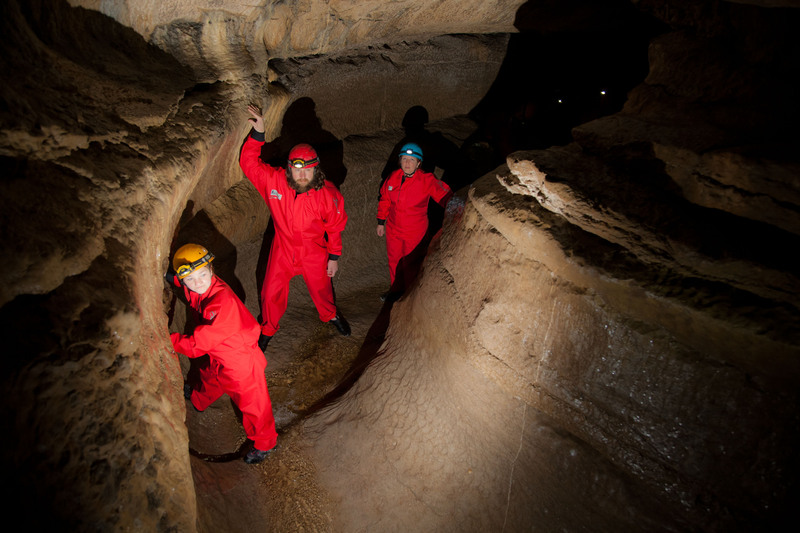 Whether you’ve never been caving before or you’re an experienced potholer, there’s lots for you to explore underground in the Yorkshire Dales. Our professional outdoor adventure team will tailor each session to suit your needs and abilities. Each session is a half day adventure. If you’re after a full day of caving, there are several sites to choose from to double up your day – or why not try one of our other outdoor activities? Yorkshire boasts some of the best opportunities to explore caves in the country – and How Stean Gorge is the place to discover more. This 3-hour experience costs £45 per person with sessions starting at 09.30 am and 2pm daily. We run sessions on Friday and Saturday evening for groups 6pm – 9pm at a special price of £400. Please arrive approximately 30 before your start time to complete medical forms. You will need to have a basic fitness level to participate in this session, but if you are up for a challenge we can take a more challenging route. You will be safely cared for by our friendly, professional, highly-experienced instructors who hold British Caving Association qualifications: either the Local Cave Mine Leader Award (LCMLA) or the Cave Instructor Certificate (CIC). At How Stean, we have the highest quality equipment and facilities to ensure that you can thoroughly enjoy your experience. Of course! 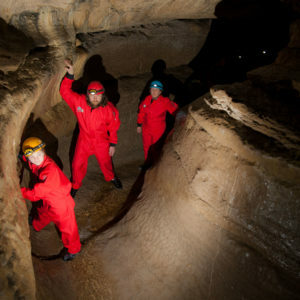 Anybody aged 7 years and above can go caving. Those who do not take part can watch some of the other activities from the bridge. While away the rest of the time exploring the gorge and caves tourist attraction or enjoying refreshments in our onsite cafe. No minimum number to book, just make sure you book in advance. It’s great fun for stag and hen parties and groups of friends and family. At How Stean Gorge – you’ll meet the instructors in the reception area. Our postcode for your satnav is: HG3 5SY. Please note: you will need to provide your own transport to our caving activities from How Stean which is a very short drive away. Wear comfortable clothes and wellies. We supply all safety equipment including a caving suit and knee pads. However, you won’t stay clean – so please bring a towel and change of clothes!